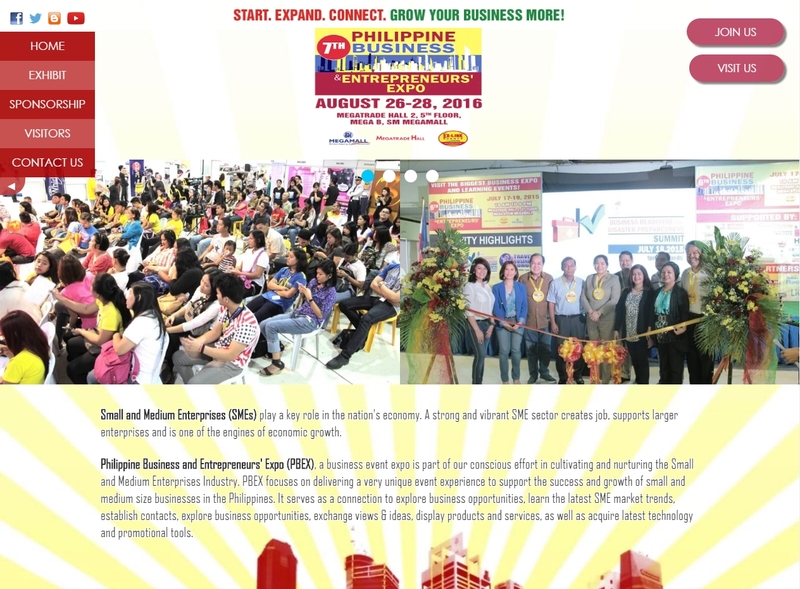 Philippine Business & Entrepreneurs Expo, a business event expo is part of our conscious effort in cultivating and nurturing the Small and Medium Enterprises Industry. PBEX focuses on delivering a very unique event experience to support the success and growth of small and medium size businesses in the Philippines. It serves as a connection to explore business opportunities, learn the latest SME market trends, establish contacts, explore business opportunities, exchange views & ideas, display products and services, as well as acquire latest technology and promotion tools. Web development, web hosting, website management and administration, content management system (wordpress), search engine optimization, bing webmaster, google webmaster and google analytics implementation. EX-LINK Management and Marketing Services Corp.
West Capitol Dr. cor. Stella Maris St. The site looks brilliant and exactly as I imagined it. I got many compliments from readers saying how well-crafted our website is. Just want to thank you for the wonderful job you are doing to GP Doctors Australia, you're a gifted person and very patient. The website is really a stunner! Two thumbs up! I have never thought I could reach out to so many clients from all over the globe. Thanks and more power! The solution he created for us turned out to be much more than what we had initially envisioned, thanks to his dedication towards meeting customer needs and his desire to overcome challenging problems. Copyright 2007 - 2019 www.jamediasolutions.com. All Right Reserved. Built on Skeleton framework. Request for a Quotation! Fill-up our inquiry form and we will send you your personalized technical and financial proposal within the next 24 hours.